How can I add music to my project? We like music here at Ulule and we always advise owners of musical projects to share it on their project page. Rather than having to leave to listen to your music, why not make it available directly from your project page, ready for you to welcome the contributions of your visitors! So where do you find these lovely music players to embed on your page? 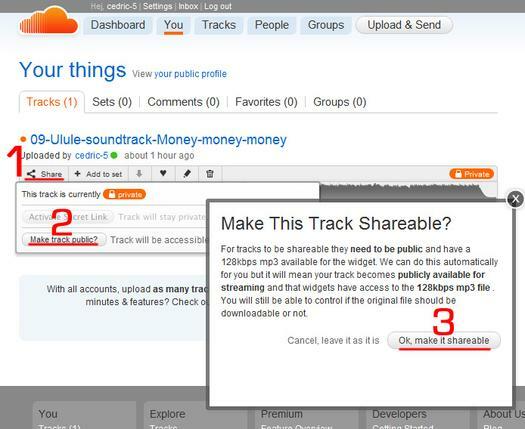 The first step...go to Soundcloud. Click on 'Upload and Share' in the top left-hand corner. 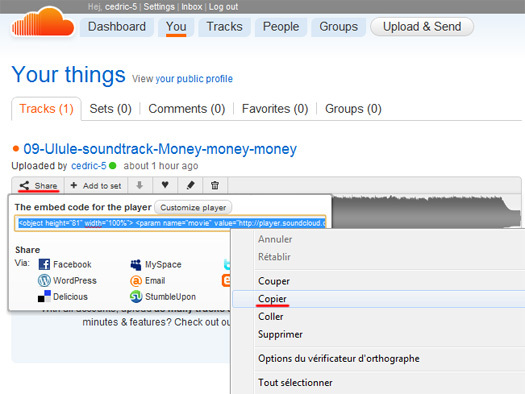 In several clicks, choose the music file that you want to upload; Add your details and email address. The Share button in the top left hand corner of the player. The Make track public button. 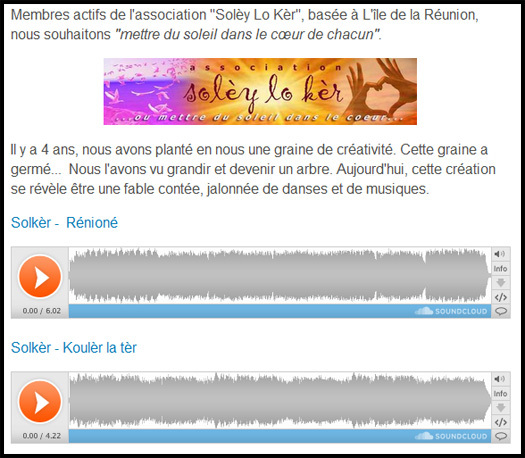 Fifth step: share your music on your project page! 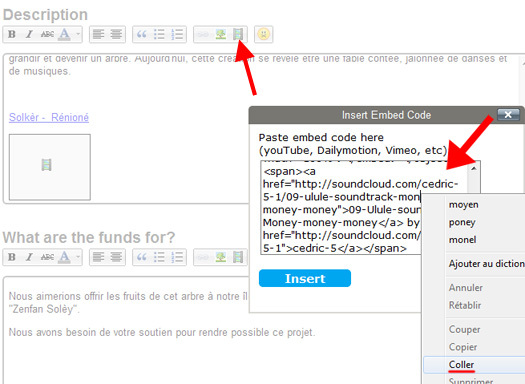 You can now copy the embed code which allows you to add your music to your page. 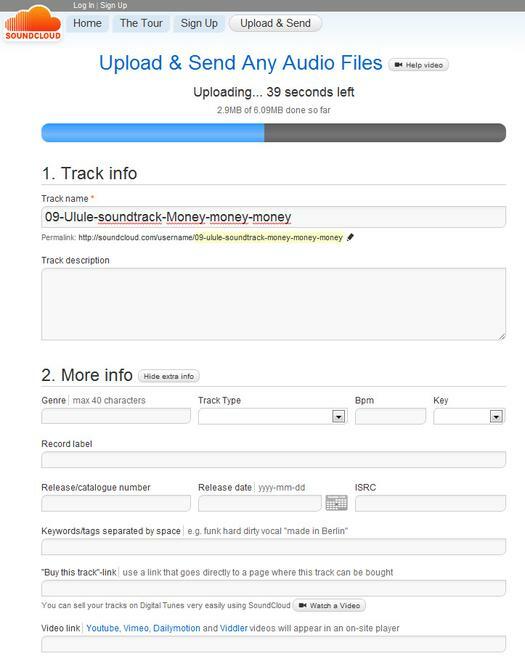 Then go to your project page on Ulule for the final step! 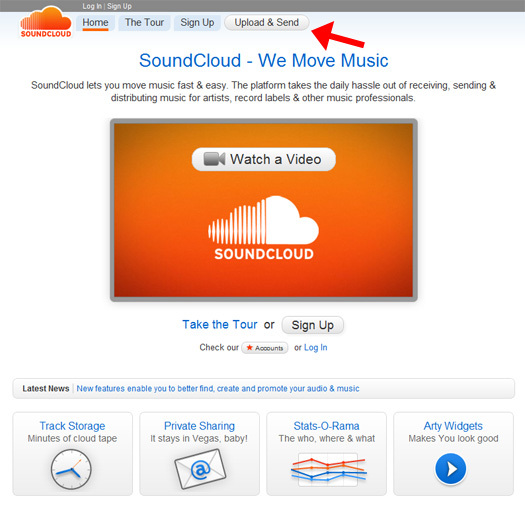 A clear box will appear to show that you have integrated your soundcloud box which will stay there until you save and exit the editor. Sixth stage: send us the music so that we can listen to it! Don't hesitate to ask any questions below in the case that something hasn't been covered here.